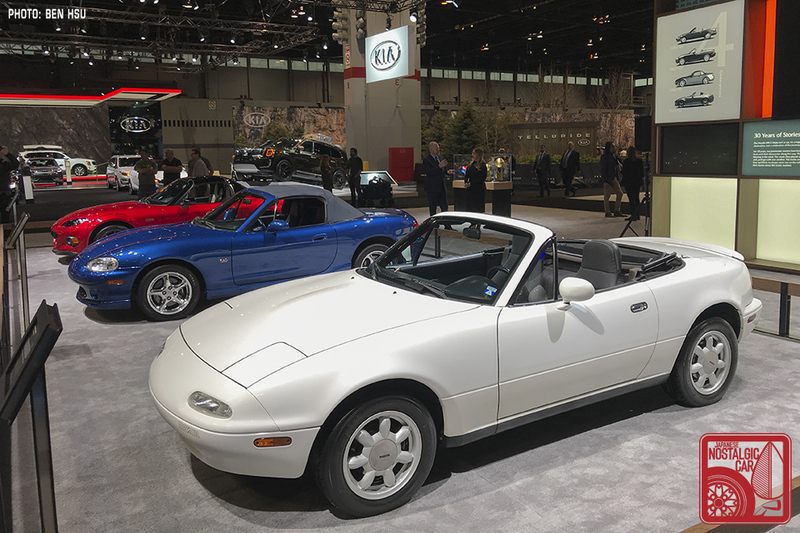 Mazda’s headline at Chicago Auto Show was all about the 30th Anniversary Edition Miata — and its subsequent selling out four hours later — but CEO Masahiro Moro buried an even more exciting Miata revelation in the press conference. 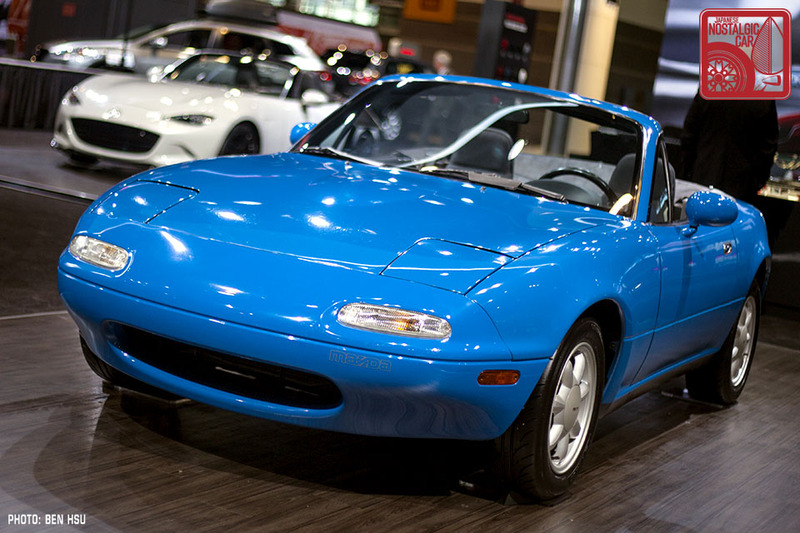 Mazda will be bringing the official reproduction parts developed in the Japanese Roadster Restore program to the US. NA Miata owners, rejoice! 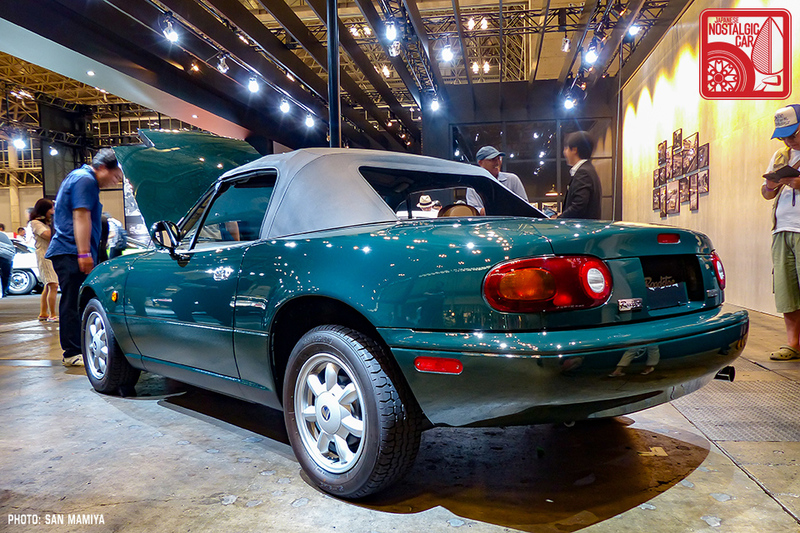 In Japan, you can actually take your entire Roadster in and get it restored, from body and paint to an engine rebuild. It doesn’t sound like that’s the case in the US; it’s just the parts that will become available. Mazda didn’t detail exactly which parts, but in Japan they include official reproductions of the original 14 x 5.5J +45 wheels, their center caps, and even the Bridgestone SF 325 185/60 R14 tires, as well as the optional Nardi wood steering wheel and shift knob, floormats, label set, and the fabric convertible top. We’ll have to wait and see which ones make their way stateside. 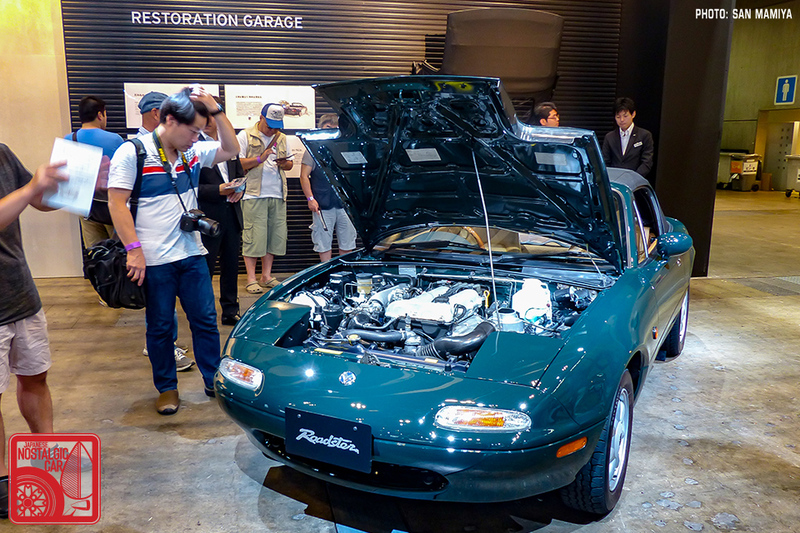 Mazda has become the first Japanese automaker to offer a classic restoration program like this in the US (Nissan had a brief period in which they sold fully restored 240Zs, but that was a different proposition). What’s really heartwarming about this program, though, is Mazda’s stated reason for doing it. I am your Mazda News Bot! Roadster7 was selling a pair of immaculate V-Spec mats for a very good price in here, not sure if still available though. Get some of this stuff to the UK! You want a good car. I want a good miata. um... it looks like 3 different options in the carpet. can anyone confirm (read kanji) if LE Red is in there? Did they ever make V-Special mats in tan? I'm will be putting in red carpet and I'm doing a red & tan interior, so I want the contrast. Fot the NA 1.6L, we need that shaped vacuum line that goes from the back of the intake manifold to the metal vacuum line along the firewall. That part was discontinued some years ago.